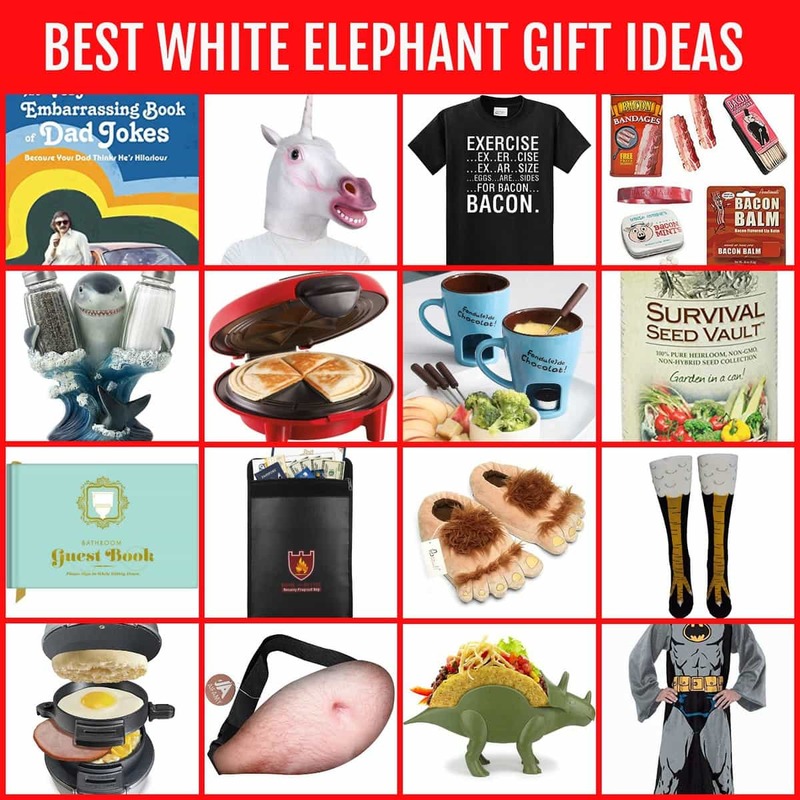 A collection of the BEST White Elephant Gifts – from Funny white elephant gift ideas to useful and DIY ideas, these gifts are sure to bring lots of laughter and “stealing” at your next White Elephant party. Every year we have at least one White Elephant party we attend. It’s become tradition to have one with the extended Luna family, and we often host a party with friends from the neighborhood. But, what is a white elephant party? A white elephant gift exchange is usually part of a holiday party to provide entertainment, more so than to exchange valuable gifts. The gifts are often funny or impractical and provide loads of laughter for attendees. Each participant brings a wrapped gift to add to the pool. Players draw numbers to know which order they will choose their gift. Everyone sits in a circle so they can see all the gifts in the center. The person who drew #1 goes first by picking a gift from the center and unwrapping it. A gift can only be stolen once per round. The game ends with #1 going again and swapping his/her gift with someone else’s. There are different variations of the game you can play, but these are the standard rules everyone goes by. 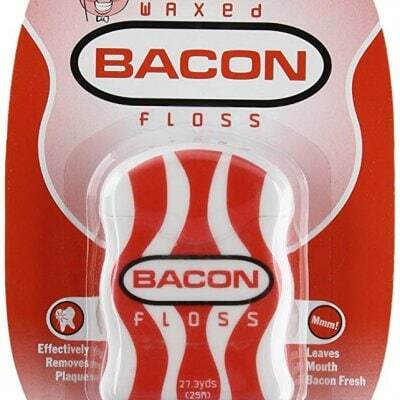 When we like to host white elephant parties, we always hope there are funny but also practical and useful gifts too. The combination of both kinds of gifts guarantees loads of laughs and lots of stealing! Every group playing will have different dynamics, but we think having a variety of gifts makes it so much fun. Whether you are playing with couples or individuals, we always ask everyone to bring a gift to participate. Also, if you are hosting, it’s good to have a few extra gifts on hand in case someone forgot a gift. You want to ensure that everyone can play. White elephant exchanges are so much more fun when there are funny gifts in the mix. 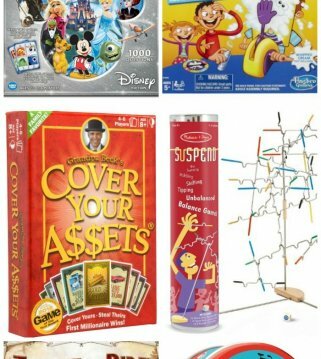 I went ahead and rounded up some of my favorite funny white elephant gifts, all found on Amazon. The prices range, but most of them fall in the $15 – $25 range. 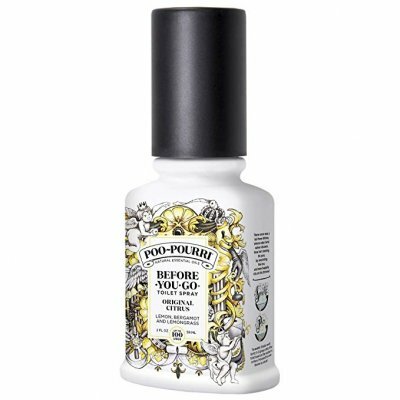 If you really want to be nice, you can always give a funny gift as well as a small good gift to go with it. 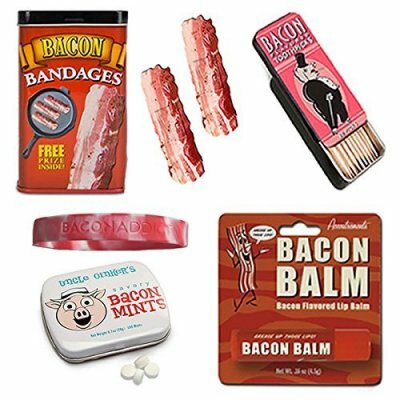 Up to you, but if you if use any of the gifts below, you’re sure to provide lots of laughs at the party. 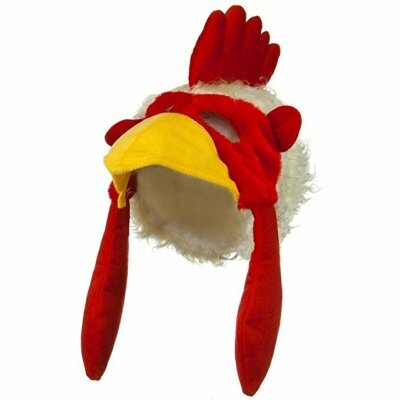 Chicken Hat – Rule your roost in style with this deluxe plush chicken hat! Sized to fit most kids and adults. 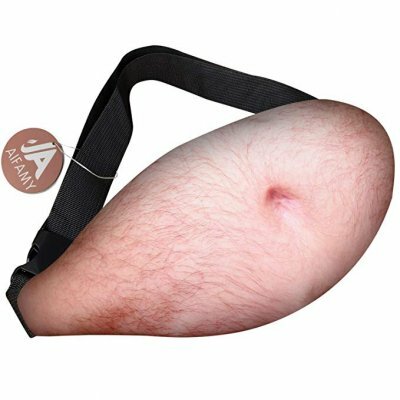 Beer Bell Fanny Pack – A big belly pack with bushy hair, that’s what a man looks like; so, it’s an ideal present for fathers, husbands and boyfriends! 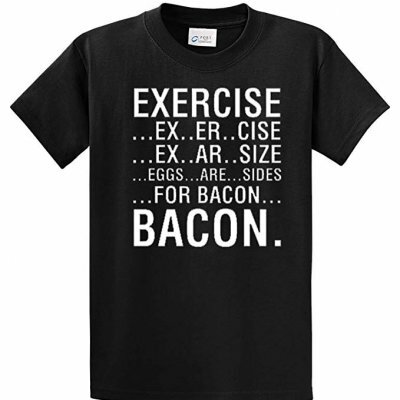 Bacon Shirt – Exercise Eggs are Sides for Bacon Shirt – perfect for the bacon lover! 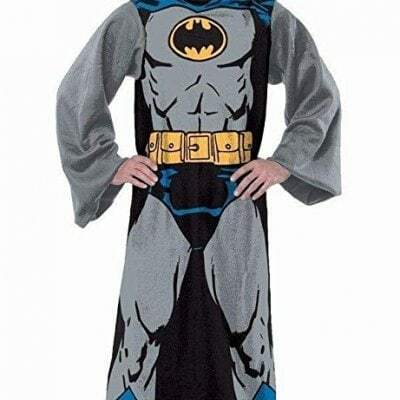 Batman Throw – Made of soft, thick, luxurious fleece with oversized loose fitting sleeves, the Youth Comfy Throw with Sleeves by The Northwest Company lets shoulders, arms and upper body remain protected from the cold while leaving arms and hands free to use a laptop, TV remote, read a book, talk on the phone; or enjoy a snack. Measures 48″ x 71″ and Features bold licensed designs. 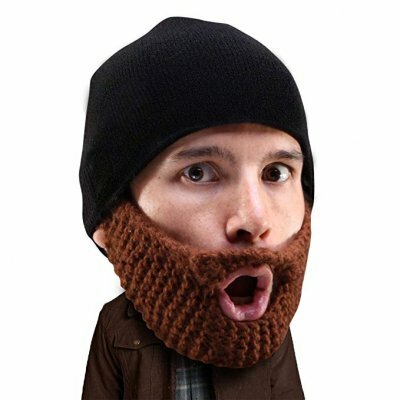 Beard Beenie – The award-winning, 100% authentic, original handmade beard hat that keeps your head and face warm during cold winters. Accept No imitations or cheap knock-offs! 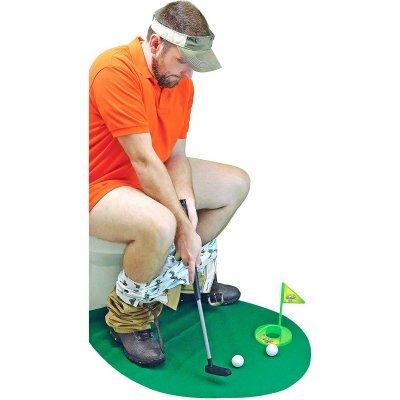 Potty Putter Toilet Game – Perfect for the golf lover! Includes its own putting green, cup with flag, two golf balls, putter and “Do Not Disturb” door hanger. 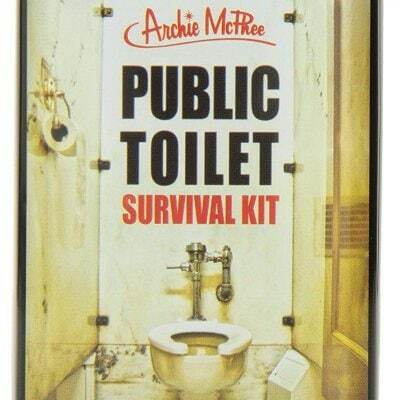 Public Toilet Survival Kit – You never know when you’re going to encounter a public toilet with some cleanliness issues, so make sure you’re prepared with this Public Toilet Survival Kit. Each kit includes one toilet seat cover, two antiseptic wipes and one pair of latex-free disposable gloves which should be enough to keep you safe and sanitary in even the most challenging conditions. 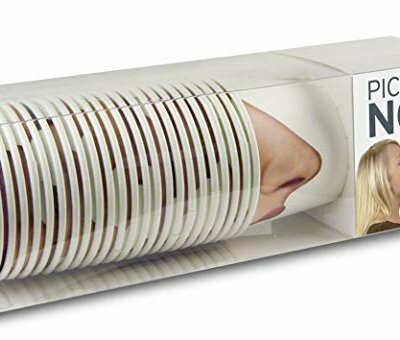 Pick Your Nose Cups – Serve beverages at your next gathering with the humorous Fred and Friends PICK YOUR NOSE Paper Cups. 24 cups are included in each package. The paper construction is meant for single-use and is fully recyclable. Each of these photo-realistic paper cups comes printed with a new nose. Each disposable cup holds 12 ounces of liquid. This set includes 12 male and 12 female noses. 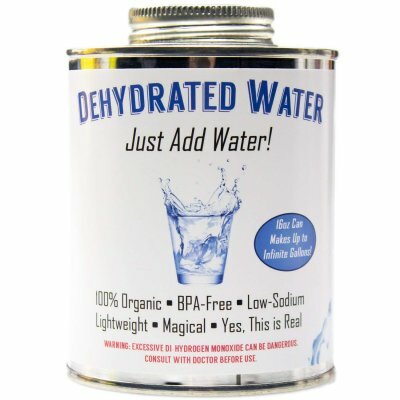 Dehydrated Water – JUST ADD WATER TO THIS HILARIOUS PRODUCT. Make thirst disappear with our new formula that when diluted, can make up to infinite gallons of water. So practical – we couldn’t believe it wasn’t available sooner! Money Maze – GIVE THE MOST FUN GAG GIFT EVER! 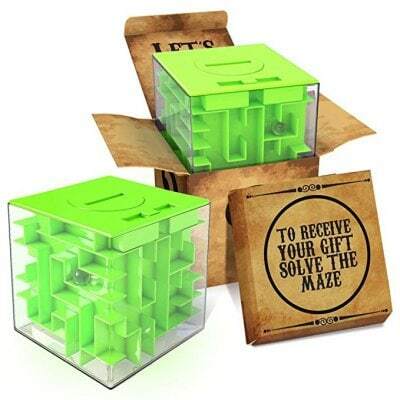 – Combine puzzle games and gift boxes into one with this gift card puzzle box. It’s a fun and cool way to give a gift. 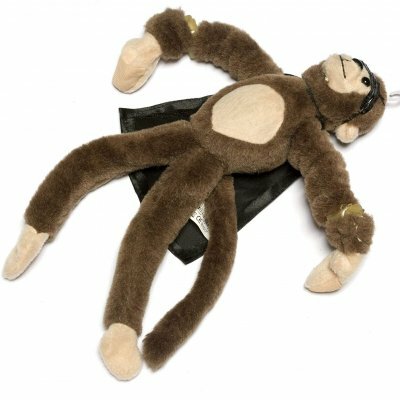 Slingshot Flying Monkey – Flingshot Slingshot Flying Screaming Monkey – what more could you ask for? 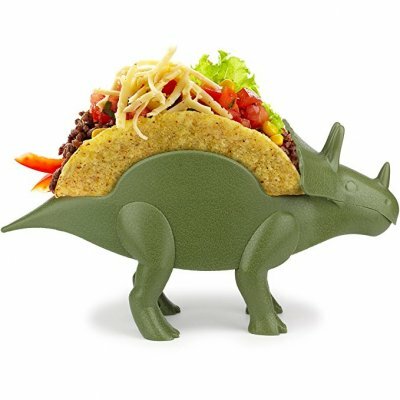 Tricera-Taco Holder – Thought to be extinct the prehistoric taco holder is back and ready to carry 2 tacos on its back! Kids love Dinosaurs, and kids love tacos. Spark their imagination and love of both by combining the two! 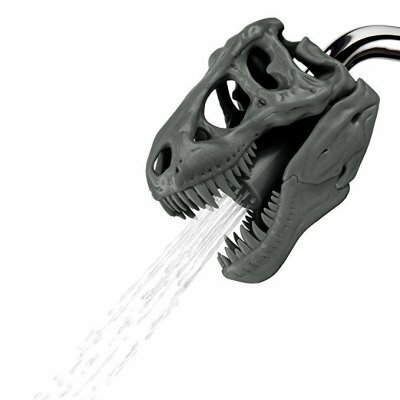 T-Rex Shower Head – Modeled after a real Tyrannosaurus Rex dinosaur skull head, this spectacular shower nozzle, gives a prehistoric jurrasic touch to shower-time that kids and kidults of all ages will surely love! 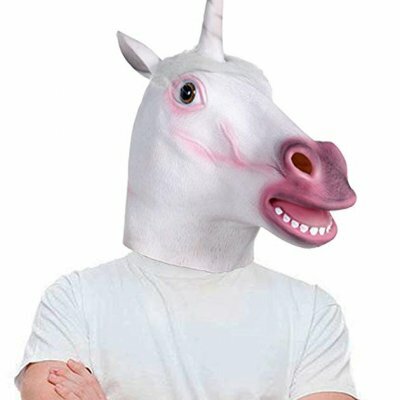 Unicorn Mask – Latex Unicorn Mask Fits most adult and teens, see through the mouth and the nose holes(A little hard to see through the nostrils),but what do you expect? It is a funny mask. 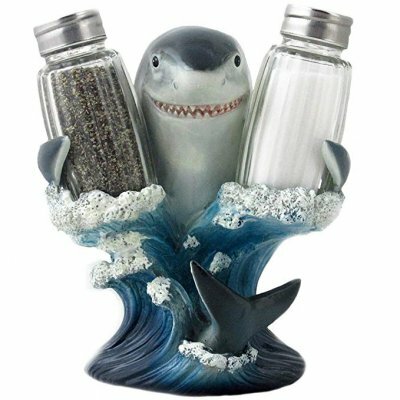 Shark Salt and Pepper Shaker Holder – With an action pose and strikingly realistic coloring, this mighty shark salt and pepper shaker set is an awe-inspiring sight to behold! 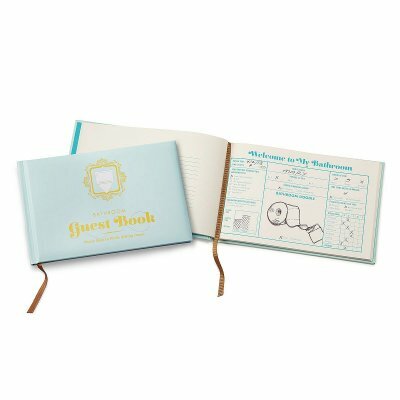 Bathroom Guest Book – No ordinary guest book, Knock Knock’s throne-room tome offers provocative prompts and ample doodle space to help your guests express themselves for posterity. 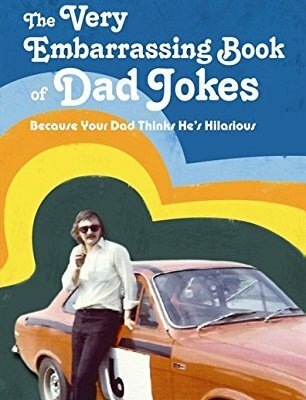 Bad Dad Jokes Book – A collection of “side-splitting” jokes collected from dads around the world, all of whom think they are hilarious. 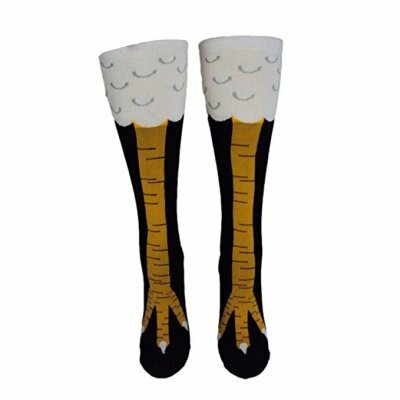 Although it’s great to have loads of funny gifts, it’s great to have useful white elephant gift ideas too. These are the items that are usually “stolen” quite often and are great to give and to receive. Everyone has different ideas of what useful means, but we’ve compiled a list of products (again – all from Amazon) that are handy and great to have at home. If you have more ideas of useful gift ideas, let us know and we will be sure to add them to the list! Back & Neck Massager – Too busy for the spa? Why not get a luxurious massage right in the comfort of your own home? 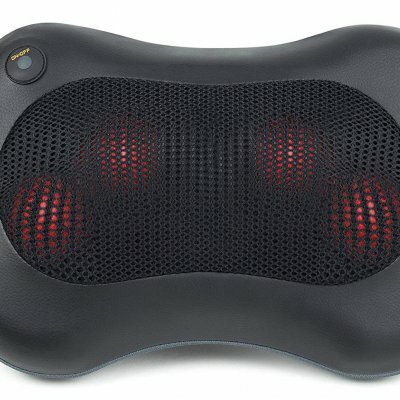 Zyllion’s new Shiatsu Pillow Massager lets you enjoy a fantastic Shiatsu- style massage anytime, anywhere! 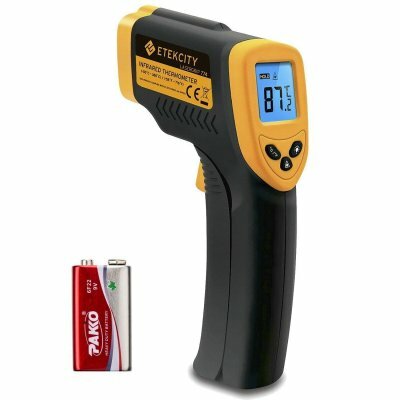 Digital Laser Infrared Thermometer – Practical for both indoor and outdoor use, the Lasergrip 774 lets you safely measure surface temperatures from a distance while still maintaining laser-sharp accuracy. 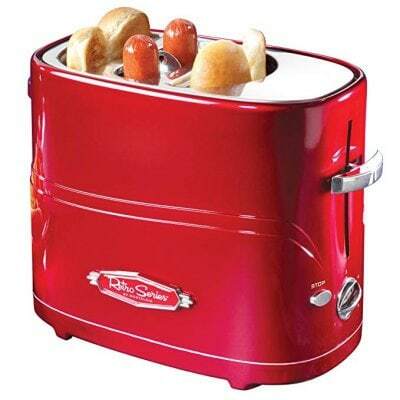 Hot Dog Toaster – The Nostalgia Retro Series Pop-Up Hot Dog Toaster is great for entertaining and as a fast meal solution for the whole family. The large hot dog cage fits two regular-size or extra-plump hot dogs. Adjust the heat setting to cook hot dogs to your preference. Easily remove the hot dog cage and use the included mini tongs for removing the hot dogs. 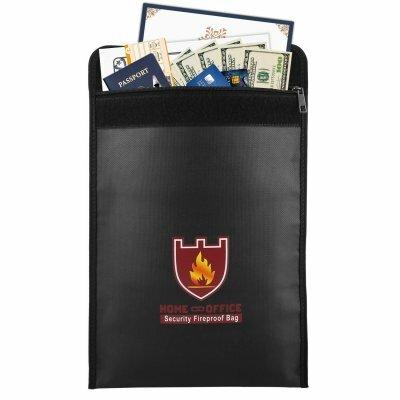 Fireproof Money & Document Bag – This fire and water resistant document holder is the perfect choice for those of who settle for nothing less than the best! Withstanding temperatures as high as 1000℃ (about 1832℉), and featuring a large size that offers ample storing space, you can put many valuables in it, such as cash, jewelry, passports, documents, tablets, photos, Li-Po Battery, etc. 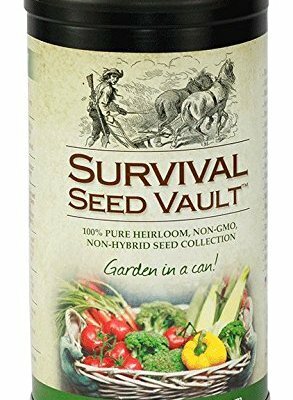 Survival Seed Vault – he Survival Seed Vault from Patriot Seeds gives you everything you need to grow your own food and survive. Ideal for this year’s garden or as part of your long-term emergency preparedness plan! 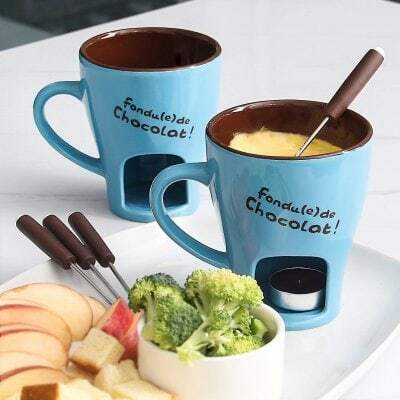 Fondue Mug Set – Beautiful outlook and portable size make it a perfect chocolate fondue mug for individual or couple use. 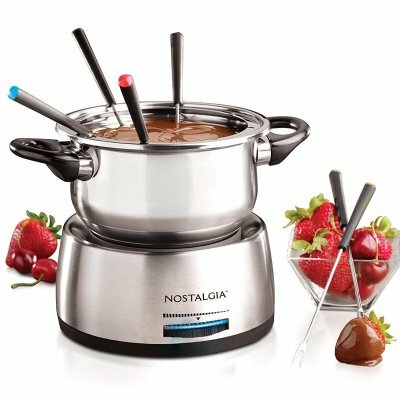 Electric Fondue Pot – Bring guests together in a fun and stylish way to serve hors d’oeuvres, entrées and desserts. Make delectable cheese dips for bits of bread and fruit or try decadent chocolate dessert fondues. Creatively and communally cook morsels of meat and seafood in a variety of oils and broths. 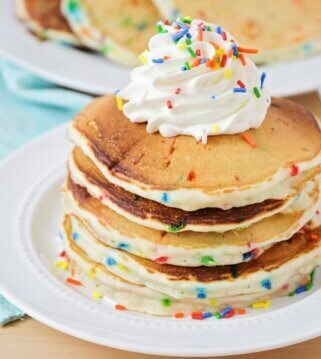 The color coded forks make it easy for guests to serve themselves. 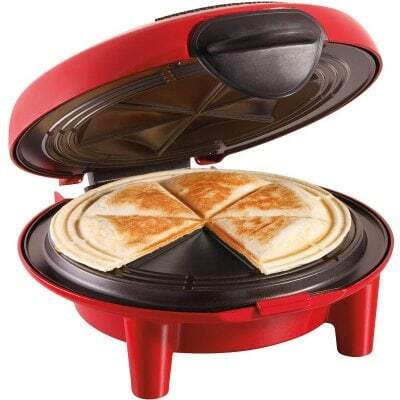 Quesadilla Maker – Forget the restaurant – have your own fiesta of flavor at home with the Hamilton Beach Quesadilla Maker. It’s simple and fun to use. Just place a tortilla in the center, add your favorite ingredients like cheese, beans, vegetables or meat, top with another tortilla, then close and lock the lid. In just a few minutes, you’ll have six wedges of warm, golden quesadillas. 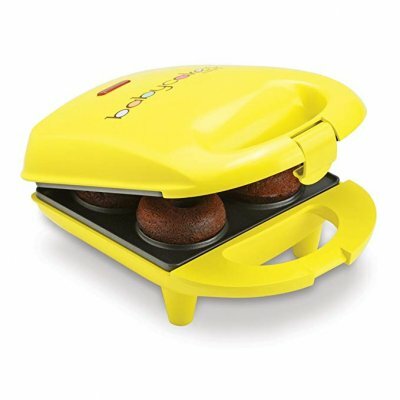 Babycakes Donut Maker – The Babycakes mini donut maker makes 4 mini donuts in just minutes. 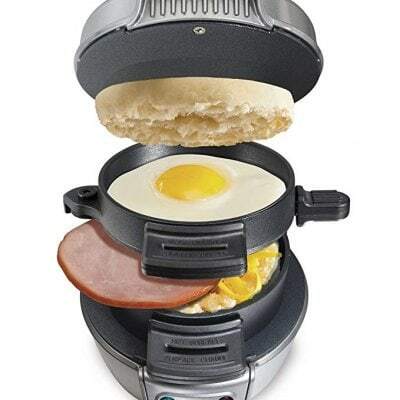 Breakfast is more fun and delicious with this handy Product. 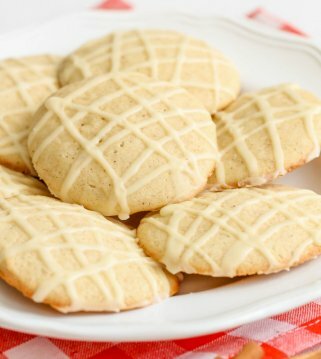 It features a latching handle and non-stick baking plates, as well as non-skid rubber feet and a convenient cord wrap. Simply wipe it out after use for quick and easy clean-up. 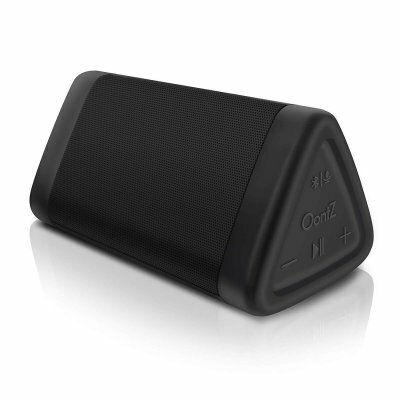 Portable Bluetooth Speaker – Provides quality sound, is weatherproof, has loud volume and is ultra portable and stylish! 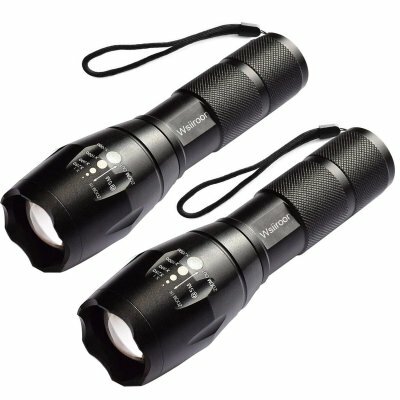 LED Flashlight – This powerful and practical, general purpose flashlight is the perfect gift for a father, husband, wife, scout, or college student for any occasion. 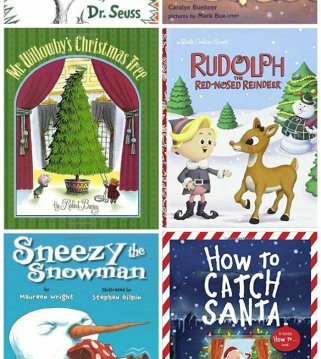 We hope you enjoy these gift ideas!